According to the American Academy of Pediatrics (AAP), sports-related injuries are becoming more and more common among young athletes, especially for those who play soccer. Some common soccer injuries of the legs and feet include ankle and knee injuries such as ligament (ACL) tears, most common among girls, and heel pain, which can occur as a result of irritation of the growth plate of the heel bone. Avoiding leg and foot injuries during soccer involves wearing properly-fitted cleats that have good heel and arch support along with grip, sufficient training to help condition and strengthen endurance, using water-resistant and properly inflated soccer balls, and limiting aggressive contact between players. Being taught proper techniques can help reduce the risk of injury. Sports related foot and ankle injuries require proper treatment before players can go back to their regular routines. For more information, contact Dr. Michael D. Garvin of Florida. Our doctor can provide the care you need to keep you pain-free and on your feet. Injuries at work are unfortunate events that take place from time to time as a function of working conditions, occupation, and accidents. Causes of severe, acute injuries are usually relatively easy to identify. For example, if someone who uses knives during the course of the work day gets cut, it wouldn’t be too difficult to establish causality. However, for more chronic conditions, like tarsal tunnel syndrome, this may prove to be more difficult. Tarsal tunnel syndrome results when the tibial nerve in the tarsal tunnel is compressed. The symptoms may present themselves as a burning pain in the sole or tingling and numbness at the base of the foot. Repetitive motion of the ankle and the foot may lead to this. As certain occupations require these types of motions, employees may have a greater risk of getting tarsal tunnel syndrome. Tarsal tunnel syndrome can be very uncomfortable to live with. If you are experiencing tarsal tunnel syndrome, contact Dr. Michael D. Garvin of Florida. Our doctor can provide the care you need to keep you pain-free and on your feet. Morton’s neuroma is a very uncomfortable condition to live with. If you think you have Morton’s neuroma, contact Dr. Michael D. Garvin of Florida. Our doctor will attend to all of your foot and ankle needs and answer any of your related questions. If your feet feel cold, especially during these winter months, it is because it is your body’s natural response for conserving heat when it is too cold. Your body “tries to maintain its internal temperature by constricting small blood vessels under the surface of the skin. This allows more blood to move deeper in the body, so your core stays warm.” However, this causes your body’s extremities, like the feet, to receive poor blood circulation. When taking care of your cold feet, try to wear warm, breathable socks that help wick away moisture. Opt for wool in place of cotton. Other methods include warming your feet up in warm water, drinking hot liquids, moving around to get your blood circulation going, and investing in shoe inserts to help insulate the insides of your shoes. To assist people struggling with diabetes, textile creator Siren Care will reportedly be releasing smart socks this spring. These smart socks are a form of wearable technology that will connect to a proprietary medical app to monitor the foot’s temperature and therefore detect inflammation, a sign of infection in diabetics. While smart socks are not new on the market, Siren Care’s version is reportedly closer to the skin and covers more surface area. The sock’s sensors are also woven in, don’t require charging, and provide instant feedback. The Siren Care co-founder has stated that the company is also looking into other forms of wearable technology that will sense light, moisture, and pressure. Diabetic foot care is important in preventing foot ailments such as ulcers. If you are suffering from diabetes or have any other concerns about your feet, contact Dr. Michael D. Garvin from Florida. Our doctor will treat your foot and ankle concerns. As the winter months are here, you may find yourself switching to winter shoes such as boots. However, it’s important to be mindful that boots are often narrow and can irritate bunions. Bunions are known as bony protrusions on the side of the feet, developing over time. Narrow shoes such as winter boots can contribute to the progression of this condition, so it’s vital to accommodate your feet. Opt for wide shoes and look to treatment options such as orthotics, padding, and if the condition is severe, anti-inflammatory medications or injections. 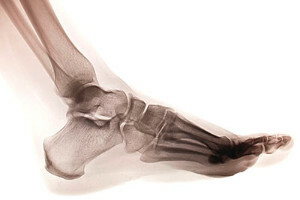 If you are suffering from bunions, contact Dr. Michael D. Garvin from Florida. Our doctor can provide the care you need to keep you pain-free and on your feet. If you have any questions, please feel free to contact our office located in Port St. Lucie, FL. We offer the newest diagnostic and treatment technologies for all your foot care needs. Plantar fasciitis is a foot condition that most commonly affects those between the ages of 30 to 55, especially those who are athletes. The plantar fascia, a ligament that runs beneath the sole of the foot, supports the arch of the foot and acts as a shock absorber. Repeated stress and impact to the heel, however, can cause the fascia to tear and cause inflammation. This results in the foot condition, plantar fasciitis. While there are various specific causes behind plantar fasciitis, excessive pressure is often the case. To determine the cause of your plantar fasciitis and the most appropriate treatment, consult with your podiatrist. Plantar fasciitis can be very painful and inconvenient. If you are experiencing heel pain or symptoms of plantar fasciitis, contact Dr. Michael D. Garvin from Florida. Our doctor can provide the care you need to keep you pain-free and on your feet. Sweet potatoes and broccoli may be considered as potential options for alleviating inflammation in the body, such as arthritis. Vegetables like these are high in alkaline and antioxidants, which help fight against arthritis symptoms. Sweet potatoes are also a good source of beta-carotene and vitamin C. Arthritis is described as a condition in which the body’s joints become inflamed and are prone to symptoms of pain. 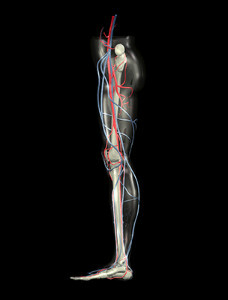 Inflammation occurs when the nerve endings in the joints react to damaged cells, leading to pain and limited mobility. Other arthritis symptoms include redness, swelling, increased temperature and stiffness. Arthritis can be a difficult condition to live with. If you are seeking treatment, contact Dr. Michael D. Garvin from Florida. Our doctor will treat your foot and ankle concerns.